In short, they will affect you in two ways: slow down your pc and give attackers access to your data. If you are interested in a bit detailed description, read this article. Since they are a “product” of a design flaw in the processor chip there is no way in which can fully be protected and avoid the consequences, if any. The only way any one of us will be positive that we will rid the computer world of these menaces is once the CPU manufacturers start building CPUs without the design flaws. For the time being there are a few things that you can do to protect your PC, as much as you can. There shouldn’t be a specific reason to update your operating system. Even in situation where there is not threat from exploits and attackers it is always a good idea to update your operating system. Windows released a security patch for systems running versions 7 and newer. Some users have reported issues with these patches which were sorted out in the following few updates. Apple implemented the security patches in the latest Siera 10.13.2, while ChromeOS was “protected” Google’s update to version 63. 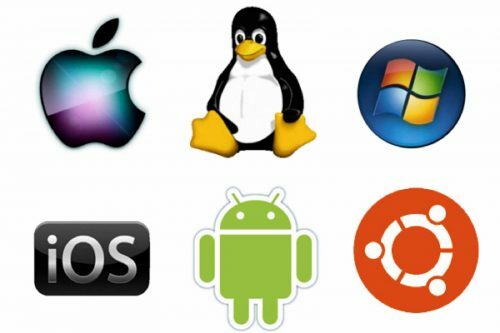 If you are using a Linux and you think that your operating system is well protected, then the release of the kernel update will prove you wrong. 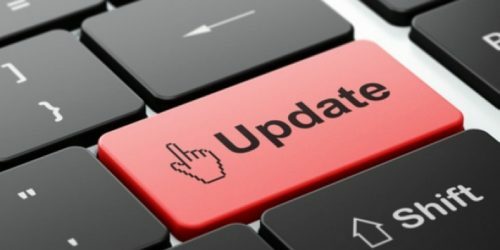 In some situations, the operating system wasn’t updated automatically, if this is the case, navigate to the system update menu and check for new updates. Mobile phones will probably not get affected as much as, but security updates are being released for them as well, so make sure that you have the auto update option enabled, or regularly check for new updates. 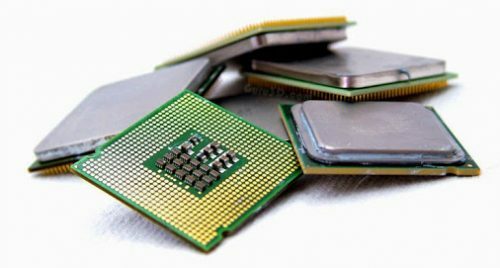 Every CPU manufacturer releases its own firmware for the processors. This firmware is something similar to the operating system that you are running on your machine, so the same rule as the operating system update can be applied for the firmware update as well. Intel and AMD released firmware updates for their processors, not all of them, the more recent ones. So it is recommended to navigate to the manufacturer’s website (for desktop users navigate to the motherboard manufacturer’s site, while laptop users need to look on their laptop’s manufacturer’s website) and download the latest CPU firmware. The downside to updating the firmware is that your device will run slower. The older the CPU the slower it will work. Users of Intel’s 6th generation or newer CPUs will not see a big impact on performance, while older models will see a bigger drop in performance, some up to 25%. AMD claims that their CPU are “immune” to Spectre’s effects, due to the different architecture of their CPUs. But this doesn’t mean that you are safe. 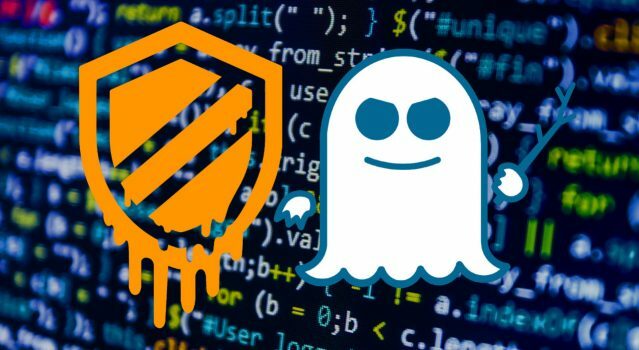 You may be safe from Spectre, but not from Meltdown. Again, updating is important, even in the case of the browser. Most browsers in recent years have the automatic update option enabled by default, it is still a good idea to double check. So do a manual check for updates and install them, if any. The danger from these flaws don’t stop at the operating system and browser. Depending on the type of software it is a good idea to update it. If the software is in some way working with a piece of hardware, then it is definitely a good idea to check for updates. For example, graphics card drivers (NVidia already released updates for a lot of graphics cards), SSD, or even your printer. If it’s an update install it. Some people don’t believe in the traditional defender that comes preinstalled with Windows. If you are one of those people, make sure to check for updates for your antivirus and make sure that you do not turn it off in any case. Even though most people think that it will not be able to protect you, don’t forget that in order for an attacker to exploit the design flaws he will need to find a way to infect your device with a malicious code, so the antivirus would be a good defense against that. If you are only using Microsoft’s defender, make sure that you regularly check for system updates, because Windows updates the defender through the system update menu. As mentioned previously, it’s alywas a good idea to keep everything updated. Security reasons aside, if the developer decides to release an update, that means that there is some optimization to the software which will make your hardware or application run better. Q: Are there any risks to updating? A: Yes and no. Some users have reported system crashes due to firmware or operating system updates, so it is always a better idea to research first before you do an update. Q: Will I lose my files if I update? A: Yes and no. before you do an update it is recommended to do a backup first. This is in case your data gets corrupted.